4400 Miles showing is unwarranted? This 1971 Mustang Mach 1 for sale been in the UK since 1980, an original genuine 351 Mach 1 in a highly desirable colour combination. 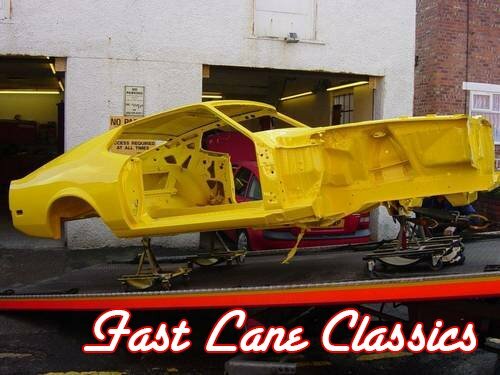 Originally built in Dearborn Michigan and sold new in Kansas City, unusually for a Mustang registered in this country for so long the car is in fantastic condition and the body is TOTALLY RUST FREE. Inside has been re trimmed in a factory correct pattern but finished in unmarked luxury Black leather with new headlining and Carpets, this was originally a Deluxe Sports interior car. but is now truly Deluxe the rest of the interior is tremendous and much better than the average US ‘restored’ Mustang All gauges are original as are the switches, all the gauge’s work as they should almost unheard of in a Mach 1 ! The Mustang has had all of the driveline overhauled at the time of the rebuild, including a full engine rebuild with good quality parts, Headers were also added with a full custom 3 inch stainless steel exhaust for a proper Muscle Car soundtrack, the radiator was re cored and the full suspension and steering was overhauled with all new joints bushes etc. Nearly new Chrome wheels with a good set of matching white letter tyres all around. 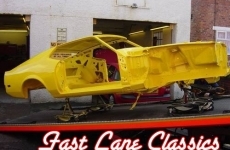 This Mustang is overall in fantastic show worthy condition it’s been magazine featured on more than one occasion and won trophies on its rare outings to the showfield with the added bonus that it will drive anywhere. Although not restored to Factory specification, this Mustang has been rebuilt to a far more exacting standard than most ‘restored’ examples and the workmanship cannot be faulted. With PARTS bills alone in our possession for around £20K this Mustang couldn’t be built to this standard for anywhere near the asking price !! Ready to impress at your local cruise !! or win trophies at any show ! !